“영양 주사골의 시무나무와 비술나무 숲”은 주사골 마을의 풍치조성과 방풍 및 수해방비 목적으로 조성된 다양한 수종의 숲이며, 대보름에는 동제당에서 동제를 지내고 마을공원으로도 이용되고 있다. 주사골은 예전에 강씨들이 살았던 마을로 전해지고 있으나 대홍수로 마을을 떠난 후 주곡공(做谷公) 이도(李櫂 : 1636～1712)와 주계공(做溪公) 이용(李榕 : 1640～1693) 형제가 이곳으로 옮겨오면서 풍치, 수해방비 및 방풍 목적으로 본 숲을 조성한 것으로 전해진다. 주사(做士)골이라는 지명도 주곡공과 주계공의 호를 좇은 것이다. 이 숲은 시무나무와 비술나무의 흔하지 않은 구성과 위 숲과 아래 숲으로 구분하여 중첩시켜 놓았다는 점에서도 다른 곳의 여느 비보림보다 이색적이며, 오래된 수해방지 숲으로서 역사적·문화적 가치가 크다. 아름드리로 자라는 큰 나무이고 느릅나무과(科)에 들어가며, 비교적 재질이 단단하고 치밀하여 차축의 재료로서는 박달나무 다음가는데 어디서나 자라는 흔한 나무라서 아무도 귀하게 여기지 않지만 세계적으로는 희귀한 나무로 학술적 가치가 크다. 우리나라와 중국에만 있는데 이십 리마다 심어 이정표구실을 하기도 했다. 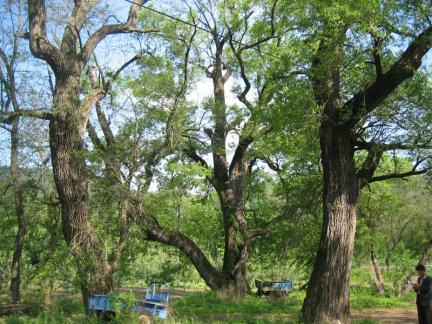 The Forest of David Hemiptelea and Dwarf Elms in Jusagol Village, Yeongyang was planted as a means of landscaping and protecting the village against wind and flood. 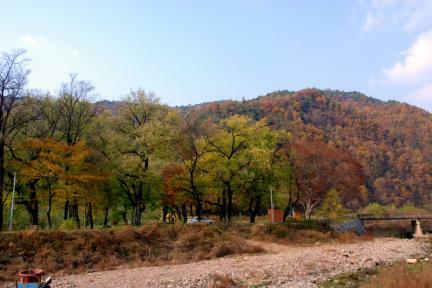 The forest also serves as a village park and a venue for communal rites on the day of the first full moon of each year. 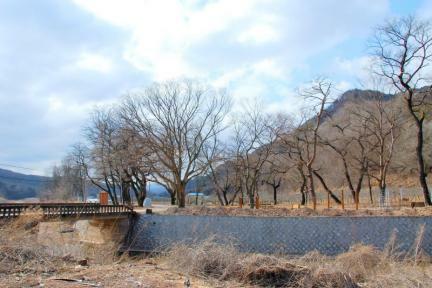 The village is said to have been settled by members of Kang clan before a big flood forced them to leave. 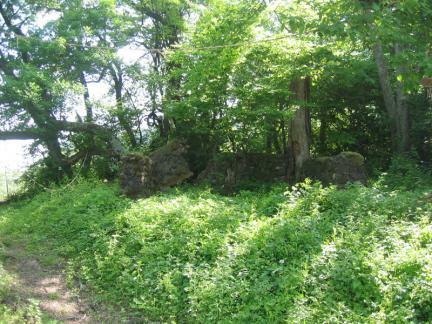 Two brothers – Yi Do (1636-1712), and Yi Yong (1640-1693) – later moved into the village and planted the forest. 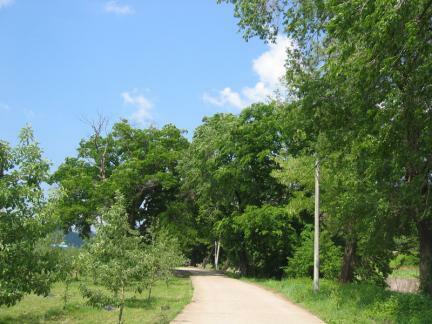 The village name, Jusagol, was named after their pen-names. 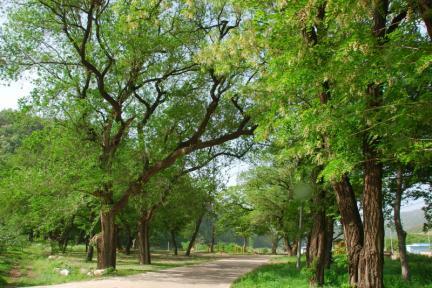 The forest actually contains various kinds of trees aside from the two major species of David hemiptelea and dwarf elm. 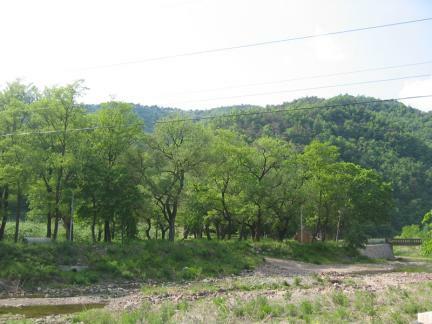 The forest differs from other Korean village woods in that it is divided into upper and lower sections. It has outstanding historical and cultural value as an ancient flood break.